Want to improve your recall and retention from lessons and self study? 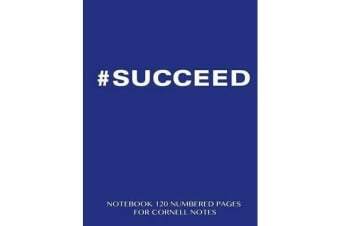 You can use this 8.5“x11” notebook to take notes with the Cornell Notes method. The Cornell method provides a systematic format for condensing, organizing and recording notes. The Cornell Notes method was created so you can take more effective notes in class or while studying yourself. You can use them for any subject and you will soon realize how the system is great for helping you recall and learn the topic well. In the “Notes” section of the page you take notes while in the “Cue” column you select key words or questions that will best help you remember the information. In the “Summary” section you add a concise summary of the notes you have taken. A guide to using the Cornell Notes method is included on the first page of the Spicy Journals notebook. 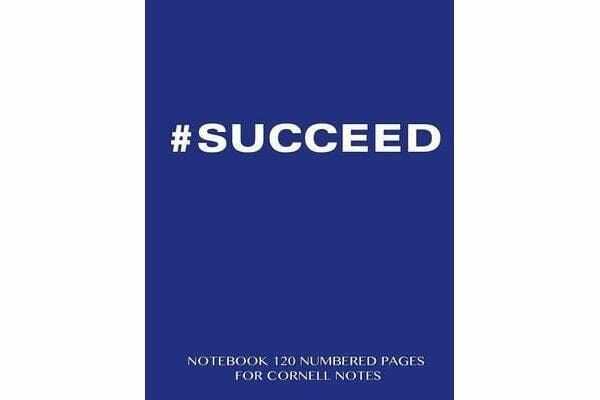 Part of the Notebook not Ebook series with cover design by “annumar” – “#Succeed – Believe you Can and You Will” on a blue cover. The notebook is perfect bound so that pages will not fall out and has a soft yet sturdy cover. Our notebooks all have a distinctive, colorful cover. To see our full range of notebooks and journals visit us at Spicyjournals.com or click on the Amazon author link for Spicy Journals above.